Friendly, Courteous & Kind ? I’ve often wondered about the twelve words Lord Baden Powell chose for the Scout Law – particularly words like Friendly, Courteous and Kind, which seem to be synonyms. Are they redundant? Are they interconnected? Has our modern English lost some details originally found in the words 100 years ago? So, I decided to look into it. I couldn’t find an online dictionary with definitions from 100 years ago. And when I looked in current online dictionaries, each word was often used used to describe the others. Friendly: Friendship is a mirror. When you have a smile on your face as you greet someone, you will probably receive a smile in return. If you are willing to be a good friend, you will find friendship reflected back to you. Courteous: “A Scout is courteous” is another way of saying “A Scout is a gentleman.” Open a door for someone. Offer your seat on a bus or in a busy waiting room to an elderly person, a pregnant woman, or anyone who needs it more than you. Greet others with a firm handshake. Do your share of family chores in a pleasant way. Say “Please” and “Thank you” or “Pardon me” and “I’m sorry” whenever appropriate. Kind: To be kind you must look beyond yourself and try to understand the needs of others; take time to listen to people and imagine being in their place. It should never be difficult to show kindness to those in need and those who cannot defend themselves. What can be harder is being kind to people you don’t know or with whom you disagree. As I look at these in order, I see a progression: Friendly > Courteous > Kind. Friendly is about outward appearances and initial impressions. It is as simple as a smile or a wave. Courteous takes things one step further. It moves from first impressions to actions. Being courteous often means to delay (waiting to hold a door) or deny (giving up your seat or place in line) yourself something. You slow down and begin to think of others needs in the immediate moment. Kindness is where Friendly and Courteous really take up residence as part of your character. Beyond considering people’s immediate needs, Kindness means you begin to “walk a mile in their shoes” and strive for a deeper understanding of people – particularly people with whom you don’t agree. Kindness also extends beyond people, and looks at how you treat pets, wildlife, and the environment. With our Cub Scouts, we begin with the ideal of Friendly. It is something that they can easily do in practice. 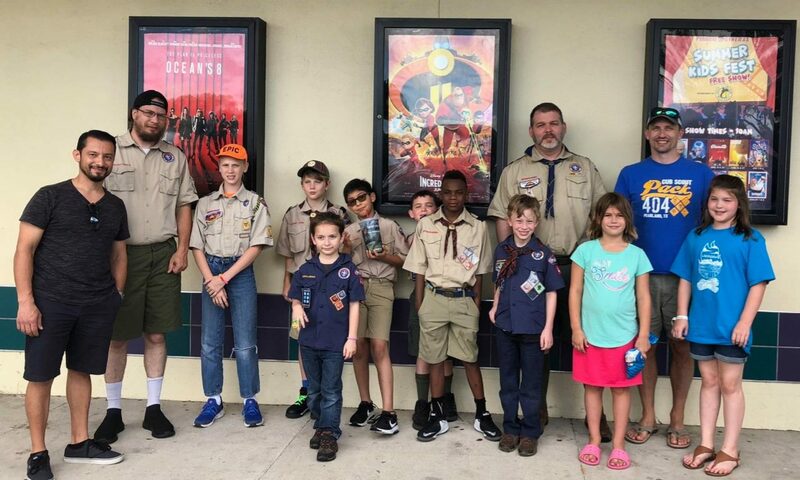 As they grow through the Cub Scouting ranks and move into Scouts, we set ahead of them the goals of becoming Courteous and Kind. As parents, Scouters and volunteers, it is our duty to model these behaviors for our Scouts. And we’ll make the world a better place in the process.